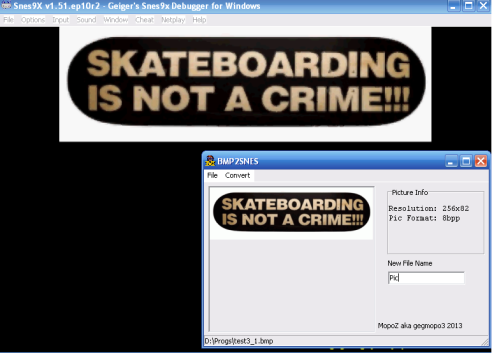 Use this tool to convert the image format *.BMP with no compression. Can be used formats 4bpp and 8bpp. Just is convecting palette image. Picture resolution can exceed 256×224 and be less.